How to lock and unlock pay periods. After a pay period ends your employees cannot add time to them. However you can unlock them so they can made edits. If you are not using Time Card Approvals then your pay periods will lock automatically once the pay period ends. However you can manually lock and unlock them as an administrator. Go to Settings --> Pay Periods. From here click on "Edit" next to any pay period. You can lock it for just employees or lock it for all users. 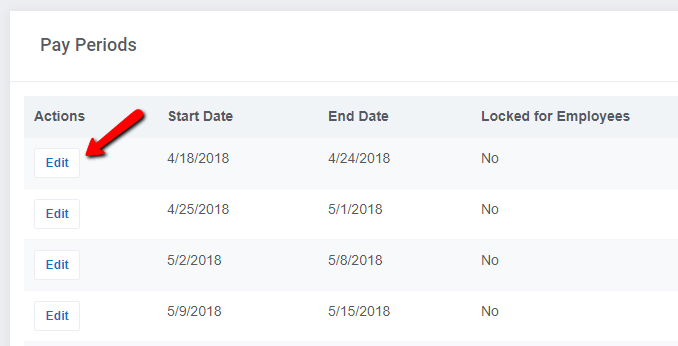 Administrators can lock/unlock specific pay periods at any time.